Do you know what equipment you need? Need to set up a free communications analysis of your existing system? Reach out and learn more about how the Aerowave team goes the extra mile to keep you connected. Browse our complete catalog of voice and data communications solutions. Put our experience to work and Contact Us for a free analysis of your existing system. We'll learn more about your business communications and develop a solution that keeps your team connected. Push. Talk. It's that Simple. Construction is big business in Texas and communications solutions need to be wide-reaching and able to stand up to the rough conditions of a construction site. You have an essential role to play by building and enhancing our communities and our goal is to keep your team connected, ensuring safety, improving efficiency and boosting communications. We understand the challenging work you do and the risks you take, and we want to help make your jobs a little easier. Construction companies are facing increasing competition and decreasing profit margins. We understand every penny matters when bidding on construction projects. We can help you create customized communications solutions designed to meet your specific needs for every project. Construction companies in the Waco, Dallas and Fort-Worth area can use the Aerowave Wide Area Radio system with GPS tracking to stay on target with your people, the latest data and information, and the costly construction equipment in use throughout the city. 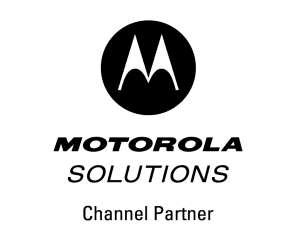 In addition to the large selection of Motorola radios and equipment we offer for sale, we also offer rental radios and systems for businesses that need to job cost devices for projects or day-to-day operations. We understand construction companies come in all sizes and offer total communications solutions that are scalable for your specific needs. Contact Aerowave Technologies today to learn more about the construction communications solutions we offer and how they can help you grow your construction profits while improving safety.